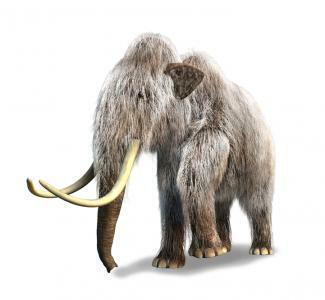 Scientists have figured out that some of the last wooly mammoths mostly likely died from thirst. By studying mammoth remains and radiocarbon dating, scientists found a shift in climate caused water to become scarce and eventually led to the demise of this massive pachyderm. Too bad, as it might have been fun to see one of these mammoth beasts out there running around on the frozen tundra. Speaking of all things mammoth, consider the latest FDIC guidance just released for comment. It zeroes in on third-party lending arrangements. In it the FDIC notes such arrangements can provide institutions with the ability to supplement, enhance, or expedite lending services for their customers, but they can also introduce additional risk to a bank. The guidance defines third-party lending as "a lending arrangement that relies on a third party to perform a significant aspect of the lending process." Such activities can include "marketing; borrower solicitation; credit underwriting; loan pricing; loan origination; retail installment sales contract issuance; customer service; consumer disclosures; regulatory compliance; loan servicing; debt collection; and data collection, aggregation, or reporting." This covers a lot of ground obviously, but looking closer at the guidance it appears to be focused mostly on three main situations. These are: 1) where banks originate loans for others (that may not have the necessary licenses or charter to do so on its own); 2) where banks originate loans through third-party lenders or jointly with them (where the other party originates the loan volume by authorizing the agent to offer loans on behalf of the bank); and 3) where banks originate loans using platforms developed by third parties. The guidance further warns banks they could be taking on multiple risks in such third-party lending arrangements. These run the gamut depending on the type of relationship but can include such risks as: strategic (adverse business decisions), operational (inadequate processes, people or systems), transaction (problems with service or delivery), pipeline and liquidity (failure to consummate or fund as expected), model (improperly designed and used), credit, compliance, consumer compliance, and BSA/AML. The key in all of this, it seems, is that since such relationships result in reduced direct control by management teams at banks, the need for more robust risk management and oversight are even more critical. As a result, regulators expect banks to have a specific risk management program and policies around this prior to entering into a relationship. More specifically, regulators expect banks involved in such relationships to have a process for evaluating and monitoring them as well and they offer specific elements banks should have as part of it. They are risk assessment, due diligence, contract structuring/review, and oversight. If your bank is involved in these sorts of relationships, understanding that you will have to do a lot more to get yourself comfortable and ensure compliance, appears a given. While some of our readers may see this as a mammoth task to complete, it is one that must be completed if you are going to leverage such lending structures. Otherwise, as with the wooly mammoth, avoiding 16 foot long regulatory tusks here may not be possible. Yields were flat amid a light economic calendar. 1) Financial services provider Teachers Insurance and Annuity Association (TIAA) in NY (with $889B in assets under management), will acquire EverBank ($27.4B, FL) for about $2.5B in cash. The move gives TIAA the ability to significantly expand its banking and lending products. A PwC survey finds banking and capital market CEOs say they are extremely or somewhat concerned about the following threats: overregulation (87%), speed of technological change (81%), geopolitical uncertainty (76%), government response to fiscal deficits and debt burdens (74%), cyber threats (74%), a shift in consumer spending (72%), availability of key skills (72%), increasing tax burden (68%), social instability (68%) and a lack of trust in business (66%). Research by the Radicati Group finds the average businessperson receives and sends about 123 emails per day. The CEO of Fifth Third Bank says only 20% of transactions are handled in the branches now. A survey by the RMA of community banks finds respondents said some of the primary drivers of change at their institution are strategic planning (34%), demand (21%), market conditions (19%), regulatory concerns (11%) and competition (10%). Birinyi Associates research finds US companies announced $182B in stock buybacks in Q1, the lowest level in 4Ys. Analysts say the decline is due to the fact that companies have less cash flow given market and business conditions. A Compensation Advisors survey of bank executives finds 44% of respondents say recruiting commercial lenders is one of their top challenges this year. A Bank Director survey finds the avg. age of a bank CEO is 47 to 60Ys (53%), 61 to 75Ys (35%) & 32 to 46Ys (12%).